Sefed is a city in Northern Israel with a population of 35,000, having close borders with Lebanon to the North and Syria to the East. Its history goes back all the way to the Biblical times. Crusaders built a massive fortress in the Middle Ages, and during the 16th Century it became a center of Kabbalah, the mystical school of thought of Judaism. Since the 1920s, Jewish residents and Arab residents were in constant clashes, and in the fierce battle in the War of Independence in 1948, Jews took control over the city. Young Mahmoud Abbas fled with his family from Safed to Syria at that time. Despite many wars that have been fought upon it, this beautiful city overlooking the Sea of Galilee in the South has been a popular place for many artists. Ziv Medical Center located in Safed treated almost 1,500 wounded or sick Syrians in the past five and a half years. They came to the Israeli border with the desperate hope of getting medical treatment that was no longer available in their civil war-torn country. It became known as Israeli Defense Forces’ “Operation Good Neighbor.” With Syria’s Assad regime regaining its control over the border area, the operation ended this summer. 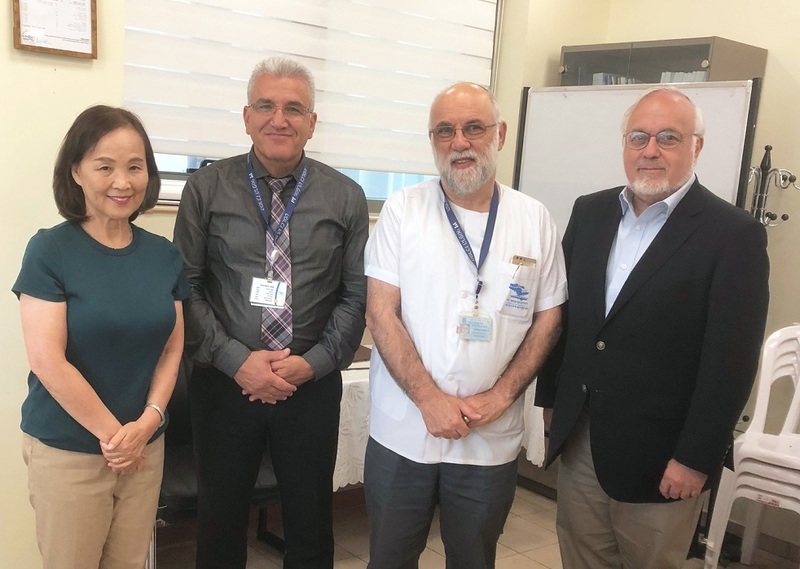 Recently, Rabbi Abraham Cooper, Associate Dean of the Simon Wiesenthal Center, Mrs. Cooper, and I had the opportunity to visit this hospital and listen to the two doctors who explained to us what took place. Meeting with us were the Director of Ziv, Dr. Salman Zarka, and the Director of the Neonatal Intensive Care Unit, Dr. Eric Shinwell. Dr. Zarka grew up in a Druze family not far from Sefed and served in the Israel Defense Forces (IDF) for 25 years. Until assuming the position of Ziv’s Director four years ago, Colonel Zarka was the head of the Medical Corps of the Northern Command of IDF. Dr. Shinwell received his medical education at Queen’s College in England.